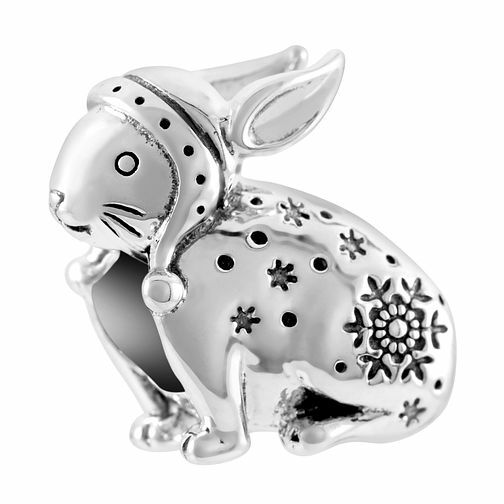 Add a touch of festive fun to your Chamilia bracelet with this seasonal snow bunny charm. Crafted with intricate detailings, this christmas character features a seasonal snowflake design and wouldn't be complete without his winter wooly hat! A cute and festive touch, ideal for adding to christmas Chamilia wishlists! Chamilia Sterling Silver Snow Bunny Charm is rated 5.0 out of 5 by 1. Rated 5 out of 5 by Anonymous from Nice Beautiful charm. Worth every penny. Brought one for myself and for my daughter.